Hello everyone, I am ktrey. I just recently started playing Faeria and can hardly claim to have mastered the game at anywhere near the level needed to teach anyone else. However, I am avidly studying Faeria and have spent some time doing my research. This post is a list of all of the helpful guides, articles, videos, and even useful discord conversations screenshotted by yours truly. This will eternally be a work in progress and anyone is more than welcome to suggest any links I may have missed and advice that should belong here. Almost none of this is my own work obviously but who knows, as I get better I may include my own notes and commentary. For now it is just a list of all the community guides organized for your convenience. 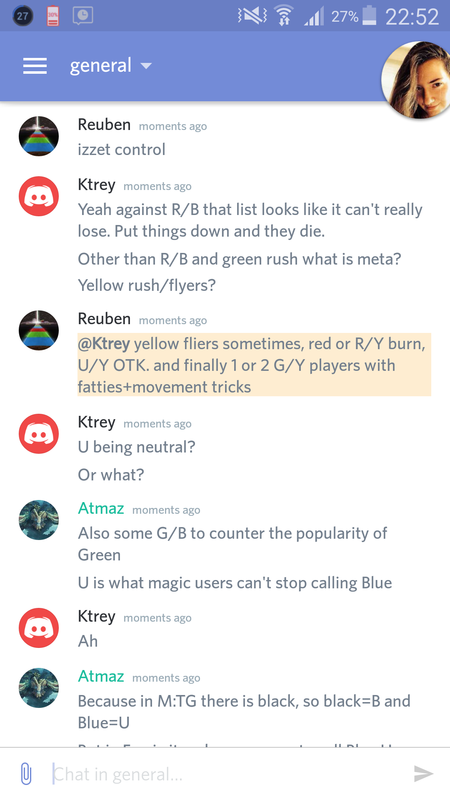 A basic overview of the current meta according to discord. Also holy crap we have ruby fish emoji! And thanks. I am having some problems with uploading pictures from my phone. I browse discord on it so the screenshots might be a while. There was a comment in another thread here about R/B and what makes it so good that I will probably link to. And a few decklists I see posted around. I need to take a break from this though. Playfaeria has been giving me 4 days worth of trouble trying to post it and here I had to get out of new user first and fix all the broken links from copy pasta at least 3 times. I’d prefer you didn’t edit it as I will be. It’s more my list of research than anything else at the moment. If it becomes too big for me to manage I will ask for help. But outside of spelling or grammar fixes I’d much rather work on it myself. It’s my little project and I will be posting a version of it on every Faeria related board I can find. I support pinning it of course though. It will be helpful to people and that will make it easier to find. And of course suggest anything you think I should add. EDIT: I may be markdown disabled. How do I do spoilers again? EDIT 2: Fixed it. I had to go back to html. Just want to say WOW and Thank You! Bookmarking this and hopefully will get some of my other friends to come here and check this out! Haha no problem at all. Honestly I’ve been neglecting both faeria and this thread horribly. Is this thread still relevant with new updates? I could make it so.